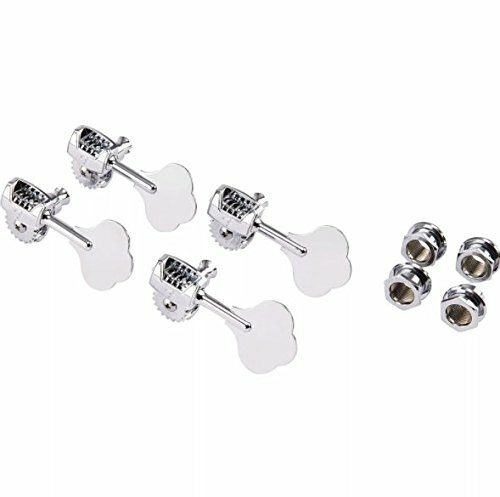 Fender offers a wide variety of high-quality vintage-style and contemporary guitar and bass tuning machines. Used on Highway One and American Special Series (US) and Deluxe, Blacktop and Standard Series basses. 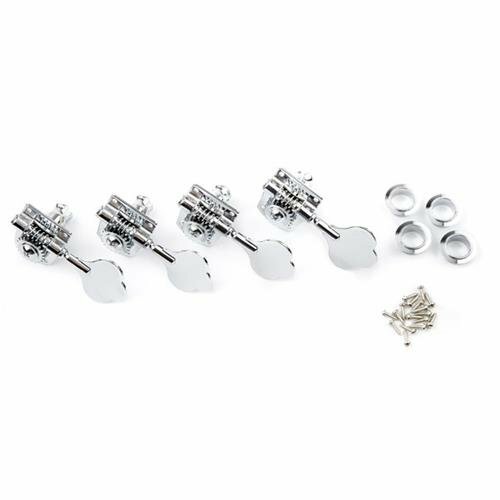 Package of four vintage-style chrome plated tuning machines. 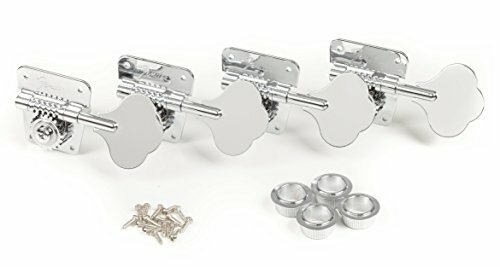 Mounting hardware not included. 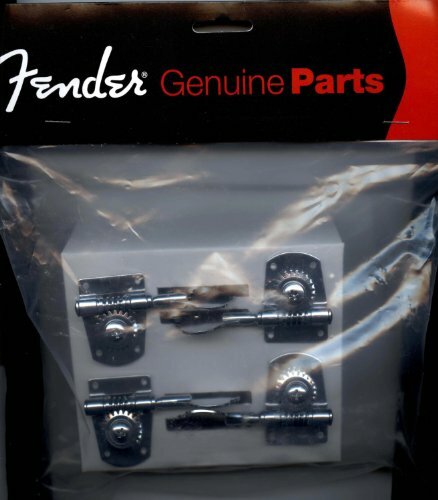 Fender offers a wide variety of high-quality vintage-style and contemporary guitar and bass tuning machines. 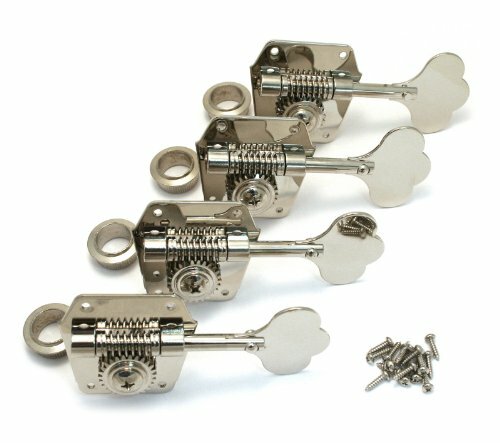 Set of four reverse nickel-plated bass tuning machines with riveted "clover leaf" style paddles. 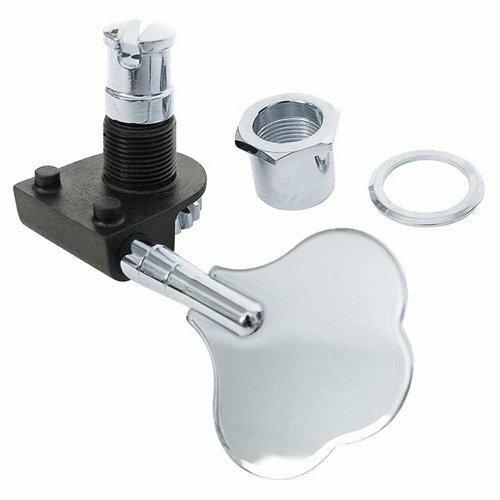 Includes bushings and mounting screws. Used on American Vintage (US), Classic Series and Road Worn Series basses manufactured from 1998-Present. Will retrofit to most vintage basses. Some modification may be required. 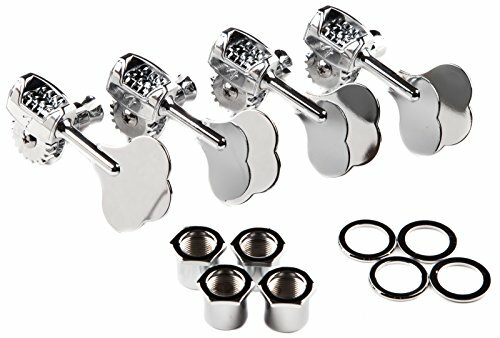 Set of four polished chrome tuning machines for use on most modern precision bass and jazz bass guitars. Wider at the top than the bottom, the flute shafts force the string windings downward and keep them tight, resulting in a sharper and consistent break angle over the nut, creating increased sustain and better tuning stability. 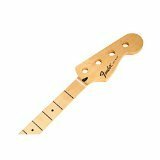 Genuine Fender Jazz Bass guitar maple neck features a comfortable "modern C" profile and 9.5"-radius rosewood or maple fingerboard with 20 medium jumbo frets. Also includes standard truss rod and pre-slotted synthetic bone nut. Tinted satin urethane finish on back for smooth feel, with gloss finish on maple fingerboard and headstock face. Crafted at Fender’s Ensenada, Mexico, manufacturing facility. 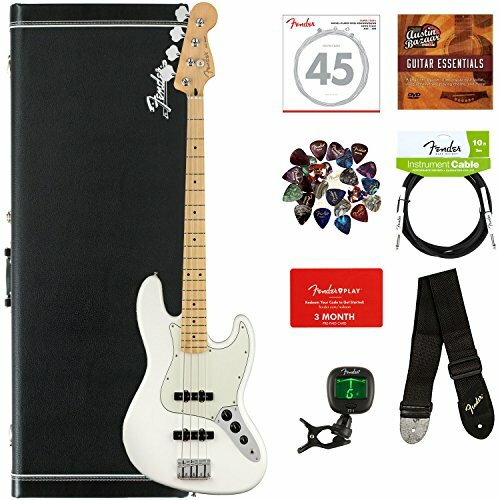 Compare prices on Fender Jazz Bass Tuners at Shopsimal.com – use promo codes and coupons for best offers and deals. We work hard to get you amazing deals and collect all avail hot offers online and represent it in one place for the customers. Now our visitors can leverage benefits of big brands and heavy discounts available for that day and for famous brands.